The Japanese yen is gaining against its major currency rivals on Thursday as reports suggest that the Bank of Japan (BOJ) will maintain a bright view of the national economy, despite a myriad of factors suggesting that Tokyo is expected to record disappointing data. According to Reuters, citing sources close to the situation, the Japanese central bank is expected to slash its inflation forecasts during next week’s policy rate review. This suggests that declining crude oil prices and sluggish global economic growth are making it increasingly difficult for Tokyo to achieve its 2% target rate. However, the BOJ is anticipated to keep its upbeat outlook for the national economy as officials say growth will emerge following a soft patch sometime this year. As a result, the BOJ will maintain its accommodative monetary policy of low interest rates and flooding the market with cash. At the meeting, the BOJ will publish a quarterly report that assesses the world’s third-largest economy. The report will consist of fresh growth and inflation projections through the fiscal year ending in March 2021. The current forecast numbers, which were released in October, have core consumer inflation hitting 1.4% in 2019 and 1.5% in 2020. On the data front, core machinery orders slumped late last year, hinting that corporate capital expenditure could suffer should the US-China trade war seep into the rest of the economy. In November, core machinery orders declined 0.02% month-on-month, far below the median estimates of a 3.5% increase. Meanwhile, the workforce faces a serious long-term problem as a new government study prognosticates that the labor force will crater 20% by 2024 because of overall population decreases and little growth in employment opportunity for women and seniors. The Ministry of Labor is recommending policies to boost employment and measures to sustain productivity, like artificial intelligence. Overall, it is estimated that the number of male workers will slip 7.11 million and females will plunge by 5.75 million between 2017 and 2040. It is expected that the wholesale and retail sectors will be hit the hardest, experiencing a decline of 2.87 million. This is followed by mining and construction (2.21 million) and manufacturing (2.06 million). This comes as BOJ Governor Haruhiko Kuroda is sounding the alarm about shrinking populations, noting that changing demographics could affect every aspect of the economy. Policymakers need to manage prudential policy appropriately, taking into account the fact that the risk profiles of financial institutions could be dramatically transformed during times of demographic change. 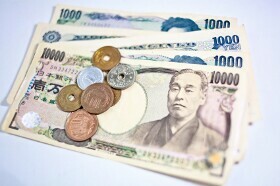 The USD/JPY currency pair slid 0.07% to 109.02, from an opening of 109.09, at 16:45 GMT on Thursday. The EUR/JPY fell 0.13% to 124.14, from an opening of 124.29.